It has been a while since you heard from us. We are still having problems to receive our satellite since our transponder test. We now want to try something different: trying to activate our S-band transmitter and let it transmit at full power for a pass. If we are able to receive a signal from the S-band, we know that Delfi-n3Xt still has an operational receiver and we could potentially demodulate the S-band signal. But since we already know that the latter is difficult, the first focus is just to “see” the signal. Since the satellite is still tumbling, it is a matter of link budget and statistics if we are able to catch the signal. To increase our chanceswe would like to ask the help of radio amateurs in the neighbourhood with suitable equipment. Since we have to actively command the satellite we have planned the passes which are suitable for the Netherlands, Germany, Belgium and Northern France and the availability of operators from our side. According to a quick survey, you are living in the area in reach at the selected passes. 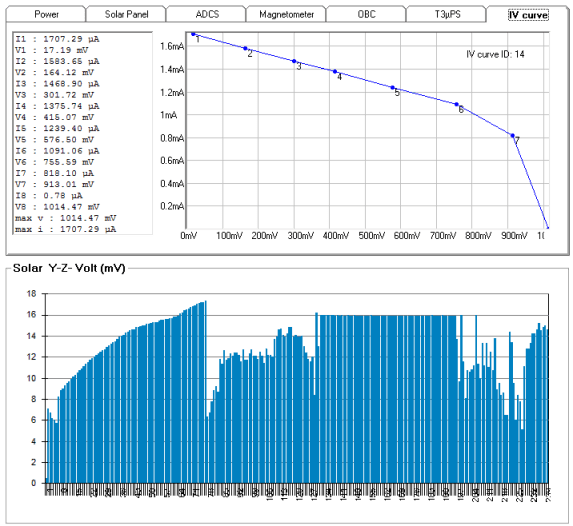 Do you have S-band (2405 MHz) reception functionality with a dish of at least 2.5 meter and tracking capability and willing to follow and record one or more passes for us? If so, please let us know your location, the gain of your antenna and the passes you are able to follow. Off course you do not have to be actively present during the pass. You can just record it and send the recording later through www.wetransfer.com. The planned attempts are stated by the LOCAL time of commanding below. If successful transmission would be within the 10-20 minutes after the indicated time. If you are able, your help is highly appreciated! We are going to test the transponder functionality of Delfi-n3Xt this week. I have to be honest that this functionality was implemented last minute on the satellite and was only tested briefly in a non-representative setup. I therefore estimate the chance that it will work at 50/50. After a few initial tests, and provided that it works, you are free to use the transponder for communication. We will leave it in this mode for the remainder of the sunlit part of the orbit, so only in Europe and Africa it is possible to use this mode for now. If successful we will turn on the transponder more often and for longer periods of time such that everyone can enjoy it. Decoded with Maspro UHF yagi, SSB preamp, FUNcube Dongle Pro+, SDR# and DUDE Delfispace ground station telemetry decoder. After that the raw packet data was used as input for one of the nice decoder software packages from Mike DK3WN. The latest versions of the software packages from Mike come with a save function that makes a transparent screenshot from the software output. A very nice new feature. Thanks Mike. Wouter Weggelaar (PA3WEG) will give a lecture on cubsats including Delfi-C3, Delfi-n3Xt and FUNcube on March 6, 2012. The lecture will take place during one of the club nights of Veron Breda (R07). For details, see the website from Veron Breda. A CubeSat is a type of miniaturized satellite for space research that usually has a volume of exactly one liter (10 cm cube), has a mass of no more than 1.33 kilograms, and typically uses commercial off-the-shelf electronics components. 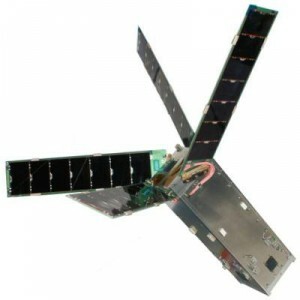 Beginning in 1999, California Polytechnic State University (Cal Poly) and Stanford University developed the CubeSat specifications to help universities worldwide to perform space science and exploration. 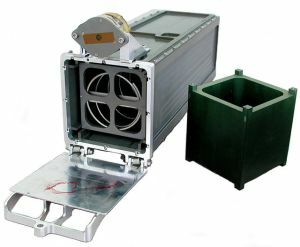 Since CubeSats are all 10×10 cm (regardless of length) they can all be launched and deployed using a common deployment system. CubeSats are typically launched and deployed from a mechanism called a Poly-PicoSatellite Orbital Deployer (P-POD), also developed and built by Cal Poly. P-PODs are mounted to a launch vehicle and carry CubeSats into orbit and deploy them once the proper signal is received from the launch vehicle. P-PODs have deployed over 90% of all CubeSats launched to date (including un-successful launches), and 100% of all CubeSats launched since 2006.